Essential oils may feel like “another thing” we have to add to our lives. You’ve probably seen oils pop up on your hippie friend’s instagram feed (I can say that now that I’ve turned into quite the hippie myself ), or maybe you’ve overheard people talking about essential oils at the coffee shop table next to you. So, what’s the deal with essential oils? Essential oils are the “essence,” or life blood, of a plant. In the right conditions and harvested at the ideal time, and distilled with great care, these plants help us keep our minds and bodies healthy. The tiny components of these plants are extremely effective because they can pass through our skin tissue and directly into our cells and body systems. Our amazing bodies can transport components of these plants all over our bodies within minutes. They can literally be found in every cell. Amazing. Not all essential oils are created equal! While many companies, even those with labels saying “100% pure,” contain synthetic oils and additives, Young Living’s Seed to Seal promise means they control the process from growing the plants on their own farms to testing the derived oils for purity to ultimately stamping and sealing them with their own labels. Young Living is the only company that grows its own plants, distills and bottles them from start to finish. I have visited several of our farms and, as a mama, I so appreciate that YL is a company I can trust to use for my family. 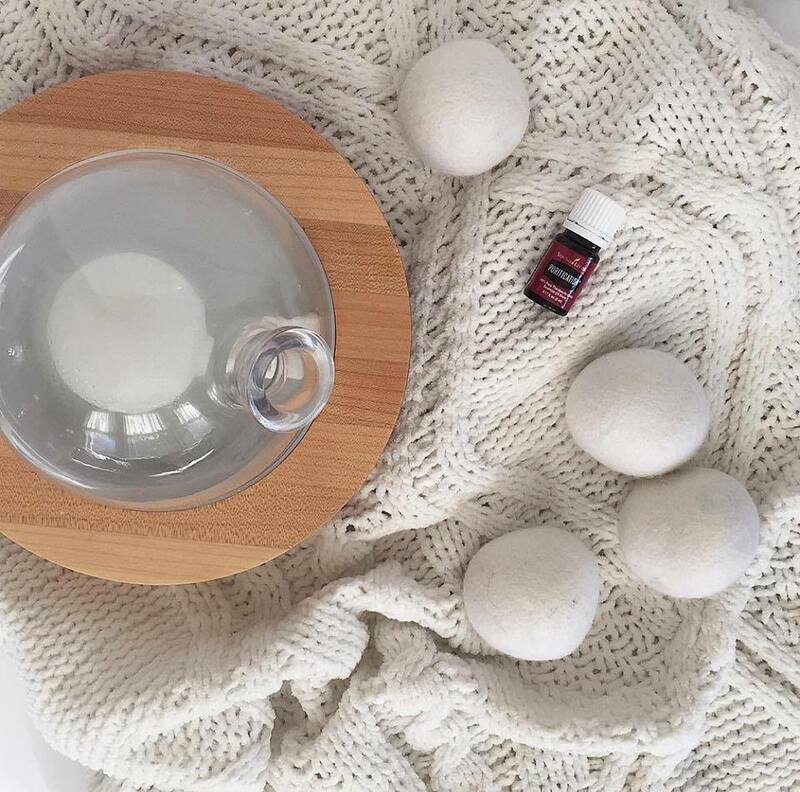 We use Young Living products for everything from supplements to cleaning supplies to to increase calm and sleep to personal care and even make-up. I know I don’t have to worry about unnecessary toxins and this makes keeping my family healthy and happy much easier! Purify the air, calm down, uplift your mood, eliminate stinky smells and create different scent experiences. Try adding to wool dryer balls to scent your laundry while cutting your dryer time down as well. My current fav combo is Sacred Frankincense and Orange in the diffuser. Vitality oils can be ingested by dropping under the tongue, adding to recipes or to water or other beverages. You can also take them in a capsule for body system support. My fav is Digize after eating a big meal or Thieves Vitality Tea when my throat needs soothing. You can apply some oils directly to your skin (we call this NEAT) by dropping and rubbing on or with a roller bottle. Other oils (considered hot oils) require dilution with a carrier oil before you apply. My all-time favorite is Valor. I wear it as perfume and it provides major calm throughout the day. Statements regarding Essential Oils have not been evaluated by the Food and Drug Administration. Products and suggestions on this website are not intended to diagnose, treat, cure, or prevent any disease. If you are pregnant, nursing, taking medication, or have a medical condition, consult your health care provider before using these products.